The Supreme Court on Wednesday issued notice on the petitions filed against Advocate Prashant Bhushan for his tweets stating that the Attorney General (AG) KK Venugopal had misled the Court by submitting that the appointment of interim CBI Director Nageshwar Rao had the approval of the High Powered Selection Committee. While issuing notice, the Bench comprising Justice Arun Mishra and Justice Navin Sinha agreed to consider the larger issue of advocates making comments on a sub-judice matter. Advocate Bhushan, who was present in the court at the time, accepted notice and assured the court that he will file a reply. The hearing saw a difference in opinion between the Centre and the AG, as to the course to be taken in the contempt proceedings. 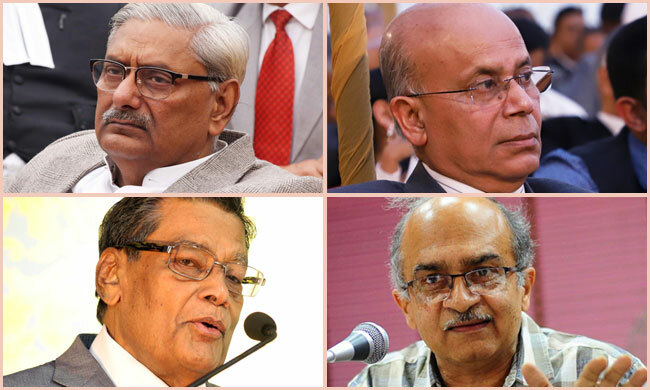 The Centre essentially submitted that Mr. Bhushan be punished for contempt. AG Venugopal, however, asserted that while he is not pressing for imposition of any punishment, the court should decide on the extent to which a lawyer can make public statements in a sub-judice matter. The Bench then asked the AG on the law on the issue, stating, "What is law on the issue? What should we expect from lawyers in a sub-judice matter and whether there could be public discussion like TV debate in sub-judice case." The court, however, seemed to be in favour of such a pronouncement, with the bench saying, "We are not averse to media reporting on court proceedings but the lawyers involved in a case should resist from making public statement in sub-judice matter. The AG filed the contempt petition in the Apex Court, submitting that Mr. Bhushan deliberately intended to cast aspersions on his integrity and honesty in placing the minutes of the meeting during the hearing. This was followed by another contempt petition filed by the Centre, asserting that "such an act by a counsel of making false and irresponsible allegations on a public platform, rather than raising his grievances, if any, before this Hon'ble Court, is grossly contumacious and warrants punishment by this Court."